Taj Mahal is a massive structure. Its height is 73 metres, as tall as the Qutab Minar. The complex of buildings and gardens is spread over 22.44 hectares (55.5 acres). 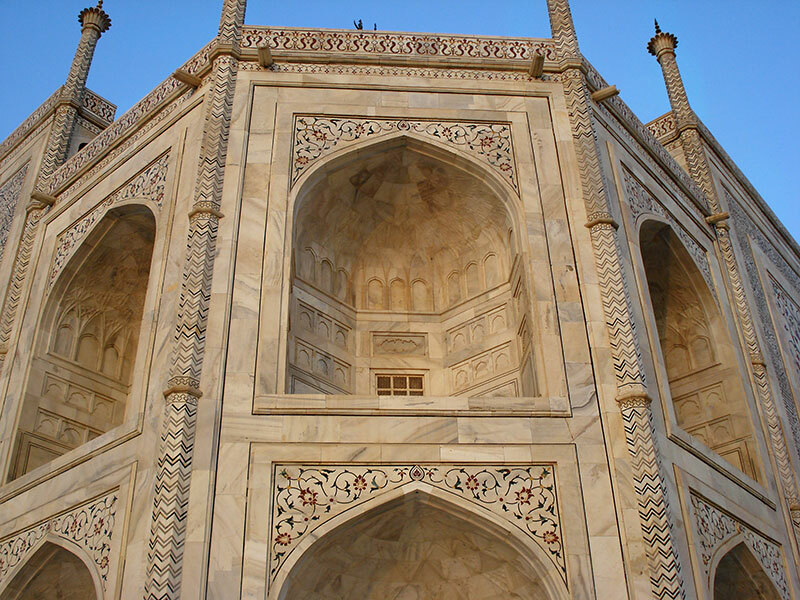 The construction has used ivory-white marble, inlaid with semi-precious stones. 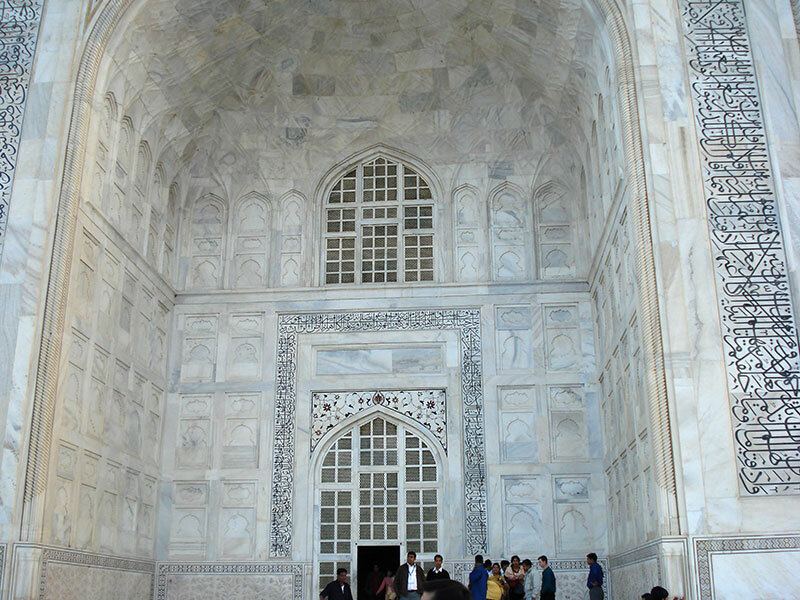 It was commissioned in 1632 by Mughal Emperor Shah Jahan in memory of his beloved begum, Mumtaz Mahal. Taj Mahal is a photographers’ delight. From whatever angle you shoot, the picture comes out looking good. The colour of the mausoleum changes during course of the day. At noon, it is pearly white. In the evenings, the marble takes on a pinkish hue from the setting sun. On a full moon night, it will look entirely different but I have not had the chance to experience it. The external decorations here are among the best to be found in Mughal architecture. Calligraphy of Persian poems and abstracts from the Quran can be seen in many places. Plant motifs and abstract forms are used extensively. 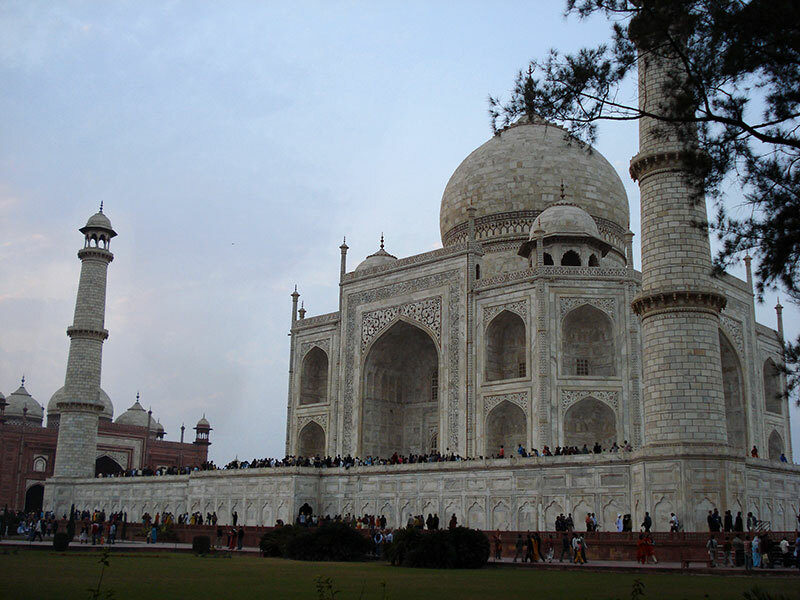 Taj Mahal was declared a UNESCO World Heritage Site in 1983. It was deemed “the jewel of Muslim art in India and one of the universally admired masterpieces of the world’s heritage”. 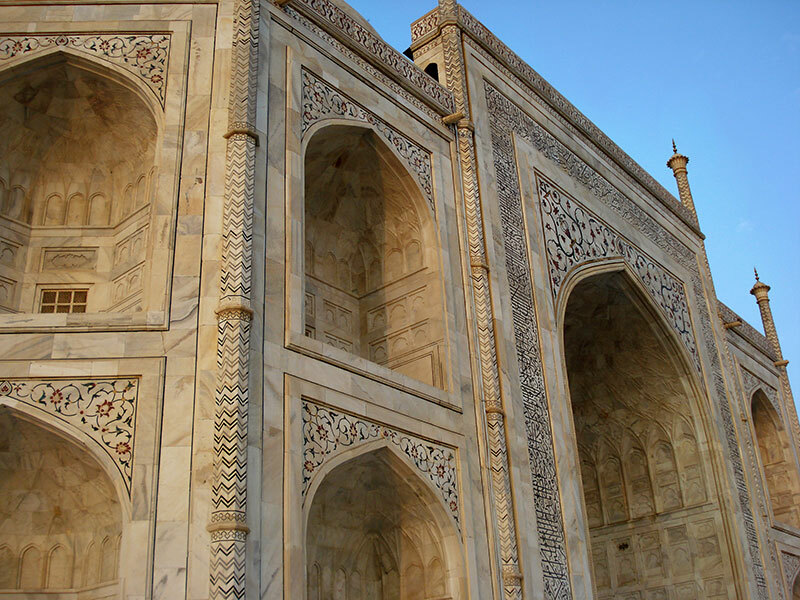 It showcases the best of Mughal architecture in India. It is also one of the seven wonders of the world. Millions of visitors are attracted to it every year. On the west bank of the Yamuna looms Taj Mahal. 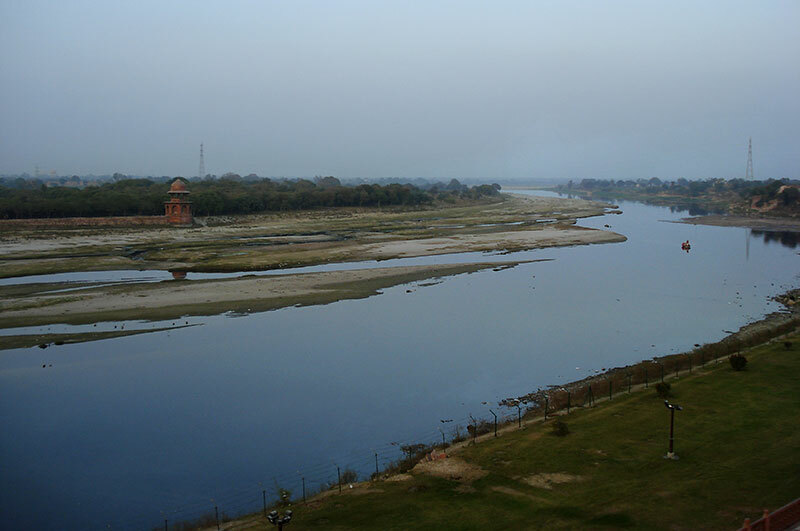 It is downstream from Agra Fort where the Yamuna makes a sharp turn. It can be viewed from the river-front terrace. 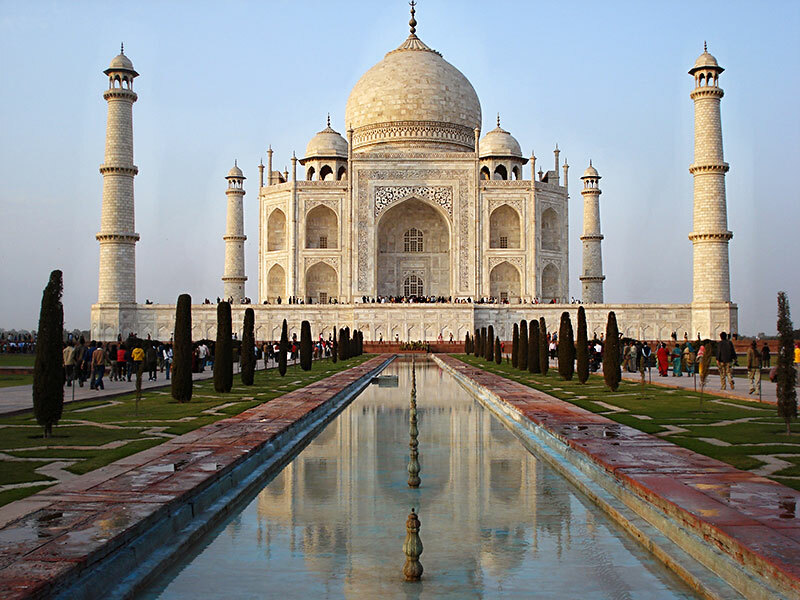 There are concerns that there is a threat to Taj Mahal due to pollution in the Yamuna. The river merges with the Ganga at Triveni Sangam in Allahabad.